Unfortunately, as small business owners, situations that involve unhappy customers are bound to happen. HOW DO YOU HANDLE IT WHEN A CUSTOMER COMPLAINS ABOUT YOUR PRODUCT OR SERVICE? React ASAP and acknowledge the customer’s unhappiness. Do not apologize for a problem until it has been researched. Be honest, and definitely do not make excuses. Customers can sniff out dishonesty. Apologize where needed and offer to correct the situation. DO YOU LIVE BY THE MANTRA THAT, “THE CUSTOMER IS ALWAYS RIGHT?” WHY OR WHY NOT? It is up to you as a #smallbiz owner to determine if complaints are a one-time occurance, or if preventable. Some customers are simply difficult to please. You may download the entire transcript of the discussion here. 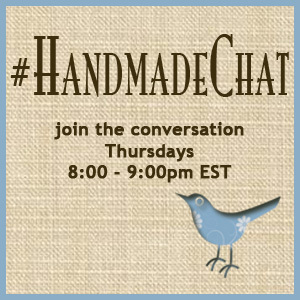 The next #HandmadeChat will be held August 16, 8pm ET, lead by La Shonda Tyree, “How To Prepare For The Holiday Season.” It is right around the corner! Annie’s Goat Hill Handcrafted Soaps is winding down. 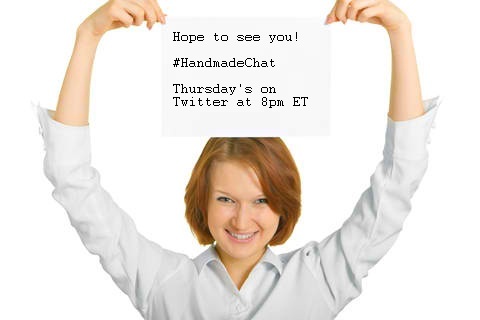 I facilitated this week’s #HandmadeChat as @PenAndInkSpot, my new Twitter and business name (Pen and Ink Spot). My new (not quite in full service yet) blog is located here. Soon, I will discuss the focus of Pen and Ink Spot. I am excited that book writing is a big part of it! I can nearly wrap up my thoughts on this week’s Indie Business (@INDIEbusiness) #HandmadeChat into one word – awesome! The chat rocked and rolled with energy, great questions, and the guest, Alyssa Middleton, of Bath and Body Academy(@bathbodyacademy) lead the chat with very helpful information. Alyssa is also the CEO at Vintage Body Spa, and the Indie Business Local Director in Louisville, Kentucky. If you have ever considered selling your handmade products wholesale, or even if you already sell wholesale and are looking for a great discussion on the topic, the transcript to the entire chat is at your fingertips (here). What are the benefits of selling wholesale? More exposure–brick and mortar stores receive a lot of traffic, making your products seen by more eyes. Selling products at wholesale provides a new revenue stream for your business. Retailers often place orders a few times a year, less work for you, more volume per order. 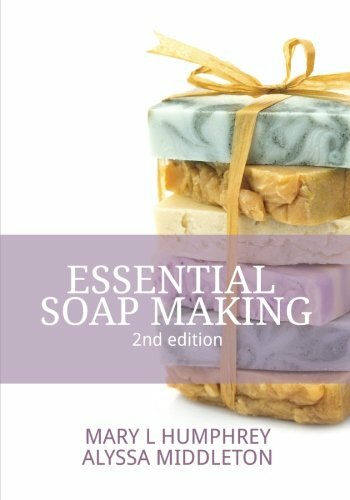 I hope you join the Twitter chat next Thursday, 6/28/12, 8p ET, when Naturally Good Soaps (@NatGoodSoaps) shares How To Use Herbs And Natural Colors In Handmade Soap. I attended the Handmade Chat (#HandmadeChat), How To Make Money Teaching DIY Classes, hosted by Donna Maria of Indie Business (@INDIEbusiness) on Twitter, June 7, 2012. The guest was LaShonda Tyree (@Soapcoach), the owner of Handmade Soap Coach. Before I go any further, I must say that I am so enthused that the Indie Business Handmade Chat has fired back up! I love a good Twitter chat. Why is that? I always learn something new. I always make a new friend or business contact. I always come away from the chat with a renewed perspective. There is nothing like a group of people sharing their thoughts, ideas, and expertise. It simply rounds things out! It is a great tool for business. So, what were some of the hi-lights from this week’s Handmade Chat? I will sum it by posting a few of the questions and answers! WHAT ARE YOUR BEST TIPS FOR STARTING TO TEACH #DIY CLASSES WITHOUT BEING OVERWHELMED? Don’t try to teach everything at first. Choose what you’re best at, do it well. I love this response! Those of us that enjoy creating handmade products often learn the hard way to not make everything that we love. We learn to keep it simple. We learn to sell what we are good at creating. Apparently, where DYI (do it yourself) classes are concerned, it is also best to streamline only to what we are best at! INDIEbusiness Q3: WHAT ARE THE BIGGEST CHALLENGES TO MAKING A PROFIT TEACHING #DIY CLASSES? LaShonda answered A3a: Charge what you’re worth. So many undercharge, and end up barely breaking even or losing money. Do the math! Again, this holds so true for the handcrafted industry. Charge what you are worth, what your products are worth! Handcrafted soap, for example, is a luxury. Handcrafted soap takes time to make (market and package), and contains ingredients that are expensive and sometimes unique. It only makes sense to ask for the full value of your class, your handmade product, or for your service. This is very important! LaShonda added A3c: Be sure to charge a materials fee so you don’t eat that cost. People often overlook this! I love LaShonda’s point here. A handmade instructor, or even a handmade product maker, should always include all of their materials in the price that they set. Every penny counts! 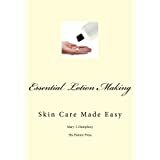 I am preparing to offer handmade soap and lotion classes locally. Thank you to LaShonda Tyree, the Handmade Soap Coach, for sharing your expertise! The full transcript to this Handmade Chat is available here. 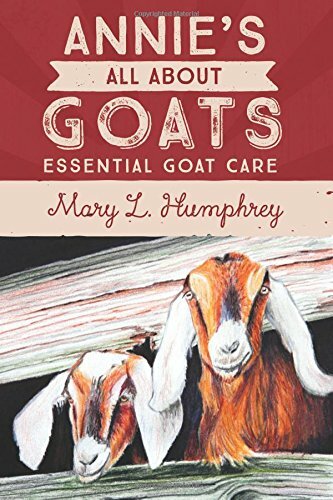 Annies Goat Hill (@anniesgoathill) will be the guest on next week’s Handmade Chat (June 7, 2012 at 8:00 EST). We will be talking about How To Include Milk In Handmade Soap. I look forward to it! I hope to see you there! I love a good Twitter chat! The scoop is a person can learn so much valuable information and make fantastic business and personal connections while participating in the chats. For more detailed information about the #HandmadeChat topics and the fantastic small business owners leading the chats, check out the Indie Business Blog.